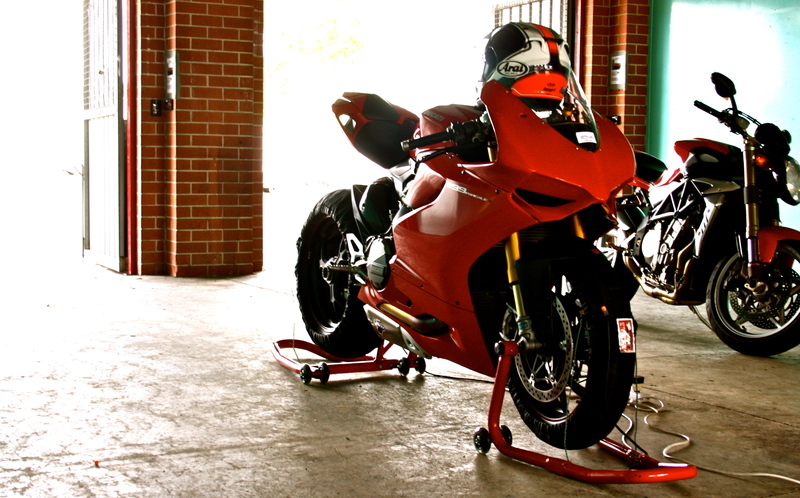 The 1199 makes a normal Japanese superbike look a little on the heavy side. From its side mounted Ohlins to it’s air box that’s actually part of the frame; every part of the bike has been made to not only look beautiful but perform and weigh as little as it can. The digital dash (that allows you to scroll through throttle and engine mapping as well as showing you the compression and re-bound settings of your electronically adjustable Ohlins front and rear ends) is beyond cool. Team this up with race fairings, tyre warmers and a Termignoni exhaust and you have yourself a fine thing to look at in between track time.